Maria Hawkins Cole (also known as Ellington following her first marriage) (August 1, 1922 – July 10, 2012) was the widow of singer Nat King Cole and mother of singer Natalie Cole. She was also a jazz singer who worked most notably with Count Basie and Duke Ellington from early October 1944 until mid September 1945. She met Nat King Cole while they were both singing at the Zanzibar club. Maria Ellington died in a nursing home in Boca Raton, Florida, after a short battle with cancer at the age of 89. DEMS made an agreement with the organizers of the Conference. DEMS would pay 195 GBP (the full amount for a registration) and the organizers would send to DEMS audio copies of the presentations to make it possible to write a report of the conference. Until now we only received a copy of the presentation by Bill Saxonis, "Reflections on Duke and His World: The Oral History Project", which was scheduled as the first session in the afternoon of 25May. Bill Saxonis made since 2000 each year a radio program on Duke's birthday. These broadcasts contain quite some interviews about Duke. Some of these interviews were even made during previous Ellington Conferences. Art Baron told in his interview about the "recorder" which Art carried with him. When Duke found out that Art could play that instrument, he decided to write a small piece for Art to be performed during the Third Sacred Concert. Art had hardly enough time for rehearsal. The rehearsals went on until the audience showed up in the cathedral. Willie Ruff spoke about the "All Star" concert on 6 October 1968 at Lincoln Centre. It was a year after Billy Strayhorn died and Duke wanted to raise money for a scholarship at Julliard. Duke had nothing scheduled for the program. When he found Willie "The Lion" Smith behind the stage he introduced him to the audience and "The Lion" played Carolina Shout. Samintha Bea Benjamin told the story again about Duke insisting to play the piano when she sang I Got It Bad (on 24Feb63) in Paris. John Lamb spoke of his solo in Bluebird of Delhi. He didn't feel comfortable when people called him Duke's bass-player. He was his own bass-player, but he respected Duke greatly. Buster Cooper spoke of Billy Strayhorn. He admired Billy very much. Willie Ruff spoke of the "Suite for the Duo", written by Billy Strayhorn specially for him and his partner Dwike Mitchel. This Suite was performed during the concert at Lincoln Centre on 6oct68. When Billy was writing the piece in the presence of Willie Ruff, Billy called Duke at the phone to ask him advise, which Billy accepted and which improved the score. Bob Wilber spoke of his idol Johnny Hodges. When Johnny was asked to play with Bob's band at George Wein's Storyville Club in Boston on Bob's soprano saxophone, he asked for a clarinet reed and he not even wetted the reed before he played a wonderful solo on Bob's instrument. Willie Ruff spoke again about Charles Mingus. During a concert at the Woolsey Hall at Yale on October 1972, the band had to be evacuated because there was a bomb-thread. Charles said "this is a good day to die. Everybody may leave but I play Sophisticated Lady", which he did on Willie Ruff's bass. Art Baron expressed his admiration for Harold Ashby. George Avakian told how he met Duke Ellington for the first time. Buster Cooper spoke of the Ed Sullivan Shows. Richard Gale talked about his father, Moe Gale, the owner of the Savoy Ballroom and the first agent of Ella Fitzgerald. He admitted that Ella had a greater career with Norman Grantz than with the Gale organisation. This was the end of Bill Saxonis' fine presentation, both entertaining and informative. As you know, I'm digitizing Jazz Journal Magazine and have just finished preparing 1958 and am about to send it off to the editor but I thought that this article on Clark Terry might be of interest for inclusion in the next issue. You will remember that the editor, Mark Gilbert, has already given overall permission for content relating to Duke to be published in the Bulletin and Blue Light. Probably all followers of the Duke Ellington band's more recent work smiled happily when they read that Duke had chosen Clark Terry to represent Puck in his suite of Shakespearean sketches; for if ever a trumpeter embodied the essence of Puckishness, Terry is that man. His style is difficult to describe precisely. A touch of Edison's occasional intense passion and more than a dash of Rex Stewart's tricky wit combine with a powerful leaning towards the modernism of Gillespie; but above all the individual approach which makes his work so easily recognizable is always apparent. His work is full of contrasts — one moment he will play a phrase from the melody, then follow it with a fast upward chromatic run a la Dizzy; or alternatively will intersperse brief multi-noted comments around his accompanying background figures, usually in an inimitable "popping" style which has its roots in Rex Stewart's work, but which is nearly all Terry. It is evident that he is one of the foremost ''humorist" instrumentalists of his day—there is an undisguised "tongue-in-cheek" air about most of his playing; particularly with regard to his more outrageous quotes, which one could well dub "Terryisms". In a way it is rather unfortunate that Terry has sojourned so long in the Duke's trumpet team. With four highly personal horn men jostling one another for solo space the opportunities for extended expression are necessarily limited. Perhaps that is the reason why recording executives have not been kind to Clark. It is a shame that a player with so much to say and such a fresh way of saying it should have made only one LP as leader and very few others as sideman. This compares most unfavourably with the position of the excellent Joe Newman, who, as well as being constantly before the public eye as principal trumpet soloist with the Basie band, has made scores of LP's with such diverse characters as Joe Turner, Al Cohn, Buck Clayton, Nat Pierce and Paul Quinichette, as well as several under his own name. While not wishing to take one shred of credit away from Newman, whose firm grip on the essential importance of playing with a powerful swing makes him a most encouraging and beneficial influence, we submit that while perhaps more roundabout in approach, Terry swings equally as much and has an imaginative flair in excess of Newman's. It is high time that Terry began to collect his share of critical and public recognition. There is a humour and "liveness" about his music (so different from the deadpan lack of expression of the "Top Brass") that stamps him as the most interesting of the younger exponents of the modern school. While he may never be a great innovator, an Armstrong or a Gillespie, he occupies a position comparable to that held by the Armstrong-influenced but readily recognisable Joe Thomas in the thirties. Those not knowing Clark's work might well study his Perdido with Duke on the Ellington Uptown LP (Philips). Here he is featured at length in a typical flow of offbeat ideas, and also takes part in a high-powered four-trumpet/one-trombone chase with Ray Nance, Willie Cook, Cat Anderson and Britt Woodman. His work here easily holds its own against the other instrumentalists. Another fine chase example is to be found on Johnny Hodges' Ellingtonia '56 (Clef), where Terry, Cook and Anderson trade fours and solos for several choruses on Duke's Jam; Cook and Cat play 'way in the upper reaches, but Clark is still in there pitching. With records like these, it is well worth the effort of penetrating the seeming inconsequentiality of this trumpeter's style to gain hours of pleasure with that rarity — a jazz original. As you may know the trumpeter Clark Terry has over the past few months had to have both his legs amputated as a result of the diabetes he’s suffered from since the Fifties. These were two massive operations and the results, as you would expect, have been agonising for Clark. With the devoted care of his wife Gwen, Clark has been weathering the storm. His determination and bravery have been amazing and it is incredible that a man of his age has been able to produce such resources from within himself. He has been in and out of hospital and still has many medical problems, but fortunately he is now at home. He speaks daily to friends and students by phone and Skype and I was myself able to have a long conversation with him about old times. Fortunately a lot of the horrendous cost of his operations was covered by insurance. But Clark needs medical care 24 hours a day, and this eats up money art a horrifying rate. A lot of his friends have rallied round and all this has been paid for up to date. We’ve all had so much pleasure over the years from Clark’s superb playing and from his wonderful personality. Young people have had their lives changed by his wonderful teaching and if anyone ever put more into life than they’ve taken out, then it’s Clark Terry. Any money goes directly into Gwen’s PayPal account. All you do is use Google to go to PayPal and then click the ‘send money’ box. The charge for sending money using this method is less than £3 however much you send. I worried that I wouldn’t be able to handle the technology, but when I came to it, it was quite simple, safe and didn’t take long! which has a picture of Estelle Coté, first Queen of Carnaval (1955). "En vedette a La Porte St.-Jean"
"Duke Ellington et son orchestre au complet"
"du 8 au 15 Fevrier inclus"
This is autographed by Mr. Ellington but it is also autographed by Mlle. Coté, and by 1955 duchesses Nancy Lee Peterson and Gisèle Poulin. It seems clear the program or menu is from February 1955. I was wondering if you can tell me if the establishment called La Porte St.-Jean was a restaurant, a night club, or something else in the early part of 1955, please? Il s'agit d'un cabaret ouvert en 1951 par Gérard Thibault. Vous trouverez plus d'informations en consultant ce document. I am sharing this information with my colleagues and it will likely be shared with the world of Ellington through The International DEMS Bulletin, of the Duke Ellington Music Society based in Belgium (see http://depanorama.net/DEMS). You have helped solve a mystery! Many thanks to Graham Colombé who gave us the opportunity to listen again to these trumpet's solos. About In a Mellow Tone we agree with Colombé who says that RS is the soloist in 4530r (instead of RN) and CA in 4576f (instead of RS). For Ring dem Bells (4555l) the remark on the lip problems regarding RN is very astute: the soloist is, as Graham says, RS indeed. We changed our mind on Indiana: the soloist is always CA. We do not agree with Colombé and we confirm our choice about: On the Alamo, Let the Zoomers Drool, Bugle Breaks, How Deep Is the Ocean, Just A-Sittin' and A-Rockin' and Unbooted Character. On Stompy Jones we wrote in The New DESOR that the soloists were RN (4540s, 4568b, 4569e), TJ (4584p, 4612b) and RS (4586b). Colombé on the contrary says that it is RS. We listened carefully to these recordings many times and we are now convinced that the unique trumpet soloist is actually TJ. You will have the whole interview of 25Jan63 on video. The interview was made by Sven Lindahl for the Swedish telecast "Aktuellt Apropå". On the video on YouTube the date is given as 3Feb63. That must have been the date of the telecast. I would like to inform you that I've completed a series of articles about the musicians who went from Cab Calloway's orchestra to Duke Ellington's orchestra. For each musician, there's a couple of anecdotes and I've tried to provide the most representative tune for each period. The series is organized by section: saxes, trumpets, trombones, rhythm + those who were first in Ellington then went to Calloway + the arrangers. You'll find some interesting names like Ben Webster, Harry White, Benny Payne, Gerald Wilson, Quentin Jackson, Claude Jones, Marshall Royal, Dizzy Gillespie, Gerry Mulligan, etc. If you'd want to share the link on your website, I would be honored. A friend in Sydney, Australia ( where I now live) sent to me the article in DEMS Bulletin 02/3-9/1. I am the piano player mentioned in the bottom paragraph. The 2 tunes I played were Blues for Duke and Billy, and A Grain of Sand. I have a fairly clear recollection of the recording. Duke had contacted the pianists, all of whom he had met on the numerous occasions he visited Paris. He wanted each pianist to play 2 tunes only: one original composition and the other a Blues. All the pianists were accompanied by Duke's rhythm section John Lamb ( bass) & Ron Brooks (drums). The pianists present that morning - yes, it was 6.30 am on the 10th March, 1967 - were Claude Bolling, Martial Solal, Aaroon Bridgers, Erroll Parker, Michel Sardaby, myself and Joe Turner. Joe was the reason for the late start of the recording as his last set at La Calvados finished at 6 am. Claude Bolling appears confused: I can confirm that Duke himself DID NOT play on that date and also that each pianist present would record ONLY 2 tunes, as Duke had wished. Joe Turner did open the session with ? ?Harry Yuma?? ( I doubt that was the title Joe meant) and he finished his set with James P. Johnson's Carolina Shout ( which he played every night to finish off his 6 am set for over 30 years at La Calvados). Aaron Bridgers played My Little Purple Flower (which he wrote for his partner, Billy Strayhorn) and a Blues and the medley of the 4 Strayhorn's Lush Life, Star Ride(? ), Satin Doll and Take the "A" Train. It was Erroll Parker who played Garnerama and Blues for the Soul (his name is taken from Errol Garner and Charlie Parker). Which leaves I Love you Madly, Meditation, T.G.T.T., which could be by Martial Solal. I have been searching for a copy of this recording for the past 40 years. Can you help? I am now in my 78th year ( I was 33 when the recording was made) and am now retired from playing due to a severe spinal collapse and arthritis in my hands. You could get further information on me by Googling my name. I thank you for whatever help you can give me in finding this. This cannot have been a Pastel Period broadcast. 7Jun43 is not a Sunday. The interviews were done by Tobe Reed. The session can be found on the Correction-sheet 1011 from The New DESOR. The date of 5Sep is confirmed in the Timme Rosenkrantz files. It must be wrong. 5Sep was a Wednesday. Pastel Period broadcasts were always on Sunday. Alan Eichler was so kind as to send us a set of five CDs with recordings made by Jane Harvey. They were released by Little Jazz Bird Records. They include newly discovered performances with Duke Ellington and his orchestra with Billy Strayhorn, recorded in the late 1950's. The two tracks with the Ellington band are on the fifth CD, titled "The Undiscovered Jane Harvey", LJB 1005 (2011). The titles are A Hundred Dreams from Now (originally titled A Hundred Dreams Ago) and I Ain't Got Nothing But the Blues. It is unmistakably the Ellington orchestra with Billy Strayhorn at the piano and Duke supervising the session and giving instructions to Jane at the start of the second selection. The same recording of A Hundred Dreams from Now is also on track 2 of the first CD in the series, LJB 1001, titled "Travelin' Light". We have asked Alan Eichler to give us the date and the location of these recordings in order to include them in Duke's discography. He answered: "The Ellington recordings were done in New York during Jane's marriage to Bob Thiele. It would have become a full album, but Jane and Bob divorced and she thought all copies had been destroyed. She estimates the year as around 1959. 21. What Color Is Virtue? 1. Track -62 was used for the original release. It was found on the studio tape, catalogued in the Danish collection as item 35228. It was used for the Danish broadcast #25. Here is indeed track -60, which is actually a "breakdown&qquot;. 1 and 17. According to The New DESOR the soloist is not Rudy Powell but Russell Procope. According to a correction on The New DESOR, the instrument was not a clarinet but a soprano sax. 9. This is the most original version of track 20. On the released recordings the words "for the first time" and "and so, wait a minute now" have been deleted. 12. I believe The New DESOR is right. The sax is played by Harold Ashby and not by Rudy Powell. 12 and 14. There is no doubt that Billy Strayhorn was present during this recording session. Duke called him between tracks 25 and 27. If the date of 27Aug is correct, the story in David Hajdu's "Lush Life" page 228 is not true. 19. The solo credits for Bob Freedman and Pete Clark have been corrected in The New DESOR. Pete came before Ray Nance, Bob came after Ray Nance. 20. The credit for Richelle Le Noir Guilmenot has been corrected in The New DESOR into Joya Sherrill. I am the source of this mistake. Joya told me that her daughter did the narration, but that was done (once or more times, I don't know) at the actual show in the Arie Crown Theatre, not in the recording session. 21. This is exactly identical with the released version, track -18 with an intercut coda 5-18. The asterisk (on page 11 of the liner notes) should be removed. 22. According to a correction made in The New DESOR, the soloists were Bob Freedman and Russell Procope. Not Rudy Powell. Does anyone have a list of Duke’s appearances over the years at the Brant Inn in Burlington, Ontario? Ellington Day by Day shows only six; two in 1952, one in 1953, two in 1956, and one in 1957. I remember seeing Duke there in either 1963 or 1964 and I’m nearly certain he appeared during the 1940s. 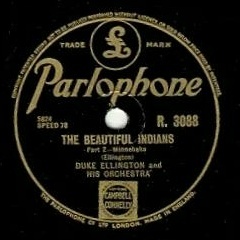 Duke played a dance date (which was recorded) on 17Feb55. There were two more recordings, one from 19Jul56 and one from 21Jul56. Thanks, Sjef. The reason I was asking is that while tidying up my basement the other day I came across a 2400 foot reel-to-reel tape of Ellington at the Brant Inn. Since I don’t own a reel-to-reel player I’m having a friend to transfer it to disc for me. I was originally given the tape by a CBC music producer I worked with. He’d got the tape from the CBC archives but there was absolutely no information on it beyond Duke’s name. It’s quite possible it’s one of the recordings you mention in your email. It will be interesting to be able to hear it. I’ll keep you posted. Thanks for your help. Hello again, Sjef. My friend William Van Ree just sent me the music from the reel-to-reel tape I was asking about recently. I’ve been able to establish that it contains two broadcasts recorded by station CHML in Hamilton, Ontario for broadcast over the CBC’s Dominion Network. Checking Timner I’ve confirmed that they are the broadcasts of July 19th and 21st 1956. As far as I know these have never been officially issued so I plan to ask William to make CDR copies for me and my friends. If you’re interested I’d be happy to send you a copy. Please let me know. I have both dates on tape in a poor quality. If your copy is good, I would be very interested in a copy on CD. This is what Art Pilkington wrote to me in his letter of 5oct89: "I confirmed my suspicions that the two dates in DESOR and Timner of 19 & 20Jul57, are in error and should read 19 & 21Jul56. I have listened to these tapes at the CBC program Archives in Toronto. The tune titles agree with DESOR and Timner." Judging from the compressed samples William sent me by email the sound seems excellent. I’m sure a proper transfer of the music from tape to CD will be even better. William will be back in Toronto in four weeks and I’ll get back to you then, Sjef, when I’ll have had a chance to listen to the music on CD. If you’re interested I could forward William’s samples to you so you can judge for yourself. Don't be bothered. I will be happy to wait for the CD when it is ready. I would be very grateful. The music is terrific (as usual) but my tape is rather poor. William van Ree was in Toronto yesterday and brought CDR copies of Duke Ellington at the Brant Inn to the pub for me and my jazz-loving drinking buddies. I have a copy for you which I'll drop in the mail this coming week if you’ll send me your address. Also, if anyone you know would like a copy William can easily make extras. All they’ll need to do is contact him and he’ll give them the cost of the disc and the shipping. William’s email address is wmvanree@kos.net. Your CD arrived today. It looks fabulous. I have not yet listened t it, but I will do that this evening. It looks like a real professional job. I will promote it in the next DEMS Bulletin and I will send you my article before publication. Thank you again for the fine CD of the Brant Inn. I have listened to it several times. Although the sound quality is not impeccable, it is very much better than the poor tape copy that I have in my collection. As I said earlier, the music is terrific as usual. Your and William's offer to make more copies for DEMS Bulletin readers is highly appreciated. At the end of June a Joe Jackson tribute to Duke Ellington album will be released, containing versions of I'm Beginning To See The Light, Mood Indigo, I Got It Bad and It Don't Mean A Thing with Iggi Pop; I Ain't Got Nothin' But the Blues with Sharon Jones and Caravan with Iranian singer Sussan Deyhim performed in Farsi, also Perdido with Lilian Vieira and the Brazilian/Dutch collective Zuco 103. Instrumental versions of Isfahan, Rockin' in Rhythm, The Mooche and Black and Tan Fantasy are also included. I came upon the DEMS Bulletin web site as I was doing some work for a project I’m working on. It’s an album called The Duke, by Joe Jackson. It’s something that Joe wanted to do to pay tribute to someone that he adores and admires, Duke Ellington, and he wrote the liner notes in the CD booklet himself talking about his appreciation of the music. As a group who has a love for the original, I’m not sure how you feel about tributes, but I wanted to let you know about it anyway. It’s really a very cool record, and I would love to know what you and your members think about it. If you are interested in receiving a copy, let me know, and I’ll send you one digitally. If you like it, maybe you can include it in a monthly newsletter or post. Since I am personally not a fan of Joe Jackson, I invite the first person to respond to this news to write a review of this CD for DEMS Bulletin. I will give the address of Bob Hoch to contact him for receiving the digital copy. We remind you that these corrections are merely suggestions. They are not (yet) accepted by the authors of the New DESOR. Page 143. 5Dec46 shows Hiawatha as movement 2 of the suite and Minnehaha as movement 1. 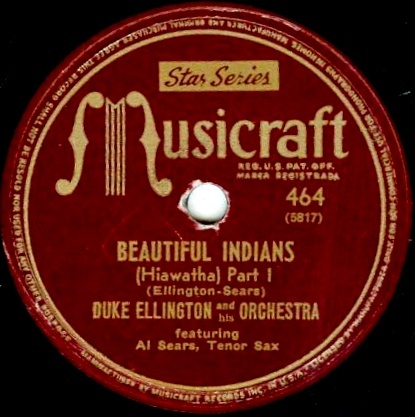 See also the Musicraft listing at http://settlet.fateback.com/Musicraft200.htm at Catalogue number 461. Has this been commented on in the DEMS bulletins? I couldn't find anything, but my search engine doesn't search the PDF files very well. No this matter has not been discussed in one of the DEMS Bulletins. You are right. Minnehaha was always played before Hiawatha. I think however that The New DESOR respected the ASCAP copyright list in which also Minnehaha came first. Page 246. A discussion on Duke-LYM with Augustin Perez Gasco made it clear that there were two concerts at Keesler Air Force Base in Biloxi on 22Jan58 and none on the 20th. Session 5801 should be documented as being the first concert on the 22th. Page 570. If you go to Wolfgang's Vault <http://www.wolfgangsvault.com/duke-ellington/> you will find a concert at the Municipal Auditorium New Orleans of 25Apr70. I have downloaded that concert and I have compared the corresponding titles with the so called second set at the Al Hirt Club on 23Apr70, in The New DESOR documented as session 7033. They are identical. The second set at the Al Hirt Club should be deleted and the old recording 7033 should be combined with the downloaded recording from Wolfgang's Vault into a new session at the Municipal Auditorium on 25Apr70. Page 1385. 0532 Music Masters "The Great Chicago Concerts" 65110-2. A discussion on the Duke-LYM list made it clear that from track 1-15 Ride Red Ride, the second chorus is omitted. Correction-sheet 1088, 2nd edition and Correction-sheet 3029. On "The Last Jam Session" DVD, New Desor Disk 0915, between DE9068y and DE9068z, DE plays the piano introduction to Hello, Dolly (similar to DE7226b from the "Cool Rock" CD). omits Track 018, Stormy Monday Blues. updated. The number will change into 1113.
assembled August 2011, from page XXV until and including 1466 (see 11/2-20); assembled April 2012, from page 281 until and including 909 (see 12/1-43). 136 - Session 4627 (a,b&c). Delete: unissued; add: UAc NUA-07. 180 - Or on Correction-sheet 1038, Session 5205, 22Mar52. 349 - Add session 9102, 30Jul63 Today Show. 446 - Session 6679, 16Nov66 2nd concert. Delete this session and add the titles from 6679a to 6679d at the end of session 6678. Or change "1st concert" on page 445 and on Corrcction-sheet 1066 into "1st part of the concert" and change "2nd concert" on page 446 into "2nd part of the concert. 938 - In a Mellow Tone. 4530r, add: RS instead of RN. 4576f: the soloist is CA instead of RS. 1089 - Ring dem Bells. 4555l: 7°/8°RS instead of 7°/8°RN. 1160 - Stompy Jones. 4540s: the soloist is TJ instead of RN. 1192 - Take the "A" Train. 6736a. 1349 - Add: 0932 and 0933 CDs. DETS 9039014/15. 1363 - Add: 0934 CD (2 discs). HEP Records CD-92/93. 1423 - Add: 0931 DVD (6 discs). Time-Life 26410-X. 1425 - Add: 0937 CD (5 discs). United Archives NUA-7. 1442 - Barboteu, Georges Apr 1, 1924 - Sep 30, 2006. 1445 - Blair, John Nov 8, 1943 - Jun 3, 2006. 1445 - Bohannon, Hoyt May22, 1918 - Dec 20, 1990. 1446 - Breuer, Harry Oct 24, 1901 - Jun 27, 1989. 1448 - Bryant, Marie Nov 6, 1917 - May 23, 1978. 1448 - Bullock, Chick Sep 16, 1898 - Sep 15, 1981. 1455 - Davis, Kay Dec 5, 1920 - Jan 27, 2012. 1459 - Ellis, Herb Aug 4, 1921 - Mar 28, 2010. 1465 - Grey, "Al" Jun 6 1925 - Mar 24, 2000. 1465 - Griffin, Merv Jul6, 1925 - Aug 12, 2007. 1471 - Jackson, Chubby Oct 25, 1918 - Oct 1- 2003. 1478 - Marsh, "Skeets" 1927 - Oct 11, 1989. 1490 - Rogers, Timmie Jul 4, 1915 - Dec 17, 2006. 1496 - Sublett, John Feb19, 1902 - May 18, 1986. 1496 - Tate, Grady Jan 14, 1932 - Mar 5, 1993. Correction-sheet 3003. RCA Centennial box. 09026-63386-2. Correction-sheet 4002 - Gourley, Jimmy Jun 9, 1926 - Dec 7, 2008.